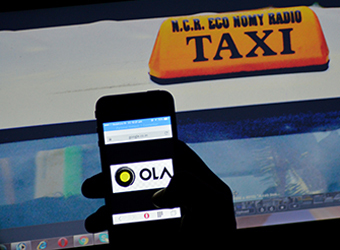 Cab-hailing app Ola, run by ANI Technologies Pvt Ltd, has slashed prices of Ola Share, its ride-sharing service. From Tuesday, Ola Share rides will start at Rs 3/km in Delhi- NCR, according to e-mails sent by Ola to customers. The company claims now customers can save up to 25% more. There was no official comment from the firm at the time of publishing this report. In February, Ola slashed rates in various cities in India—it then reduced Ola Auto fare in Indore and unveiled lower fare for Ola Share in Mumbai and Pune. Ola Share rides can be shared by up to three people at any point in time. In July, Delhi High Court ordered that app-based taxi service providers Ola and Uber cannot charge customers more than the rates prescribed by the Aam Aadmi Party (AAP) government. The court order came amid a debate on 'surge pricing', resorted to by app-based taxi services during peak demand, which was challenged in the court. The lawyer for ANI Technologies told the court that the firm will not charge beyond the stipulated rate. In June, San Francisco-based cab aggregator Uber, which is Ola's arch-rival in India, slashed tariff of its low-cost offering UberGO in Delhi-NCR region.